Looking ahead, we have an upcoming study on the book of Ruth. For those of you who want to purchase the study guide, it’s available now at Amazon (click here to go there). 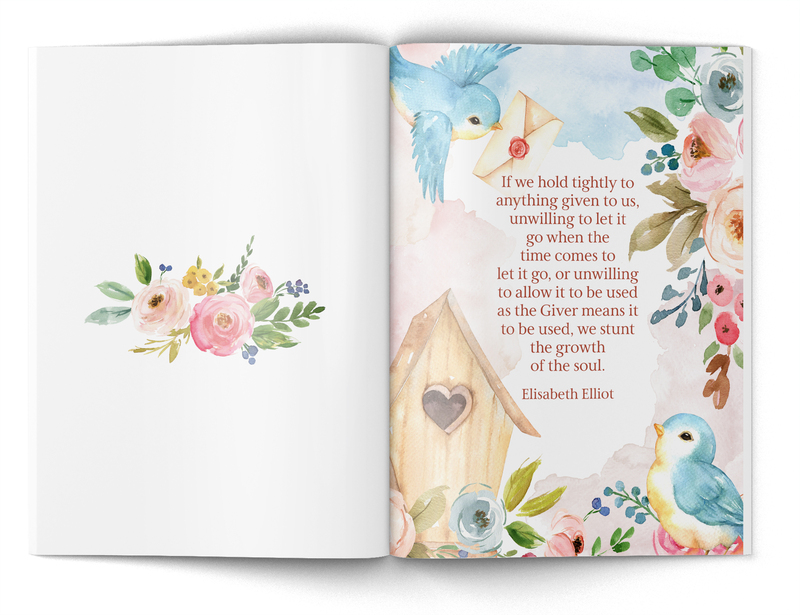 I have to tell you, this book is not only inspiring–it’s absolutely gorgeous! I fell in love with the illustrations when I saw them and knew I needed to incorporate them into our next study. The book just came out a few days ago, and I’ve already had to order a reprint, so don’t delay in ordering your copy as they are selling fast. (See below for some images of the inside). 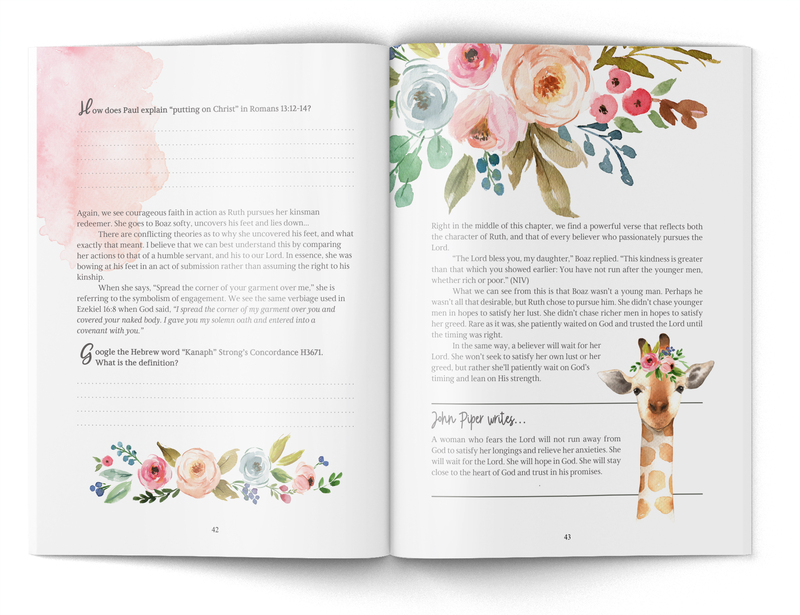 If you aren’t buying a study guide, you can definitely join in on the study with us as I’ll be providing free resources for you. This will be a four-week study beginning October 1st and ending October 26th. Each week I’ll provide you with questions that cause you to dig into scripture and gain a deeper understanding of God’s word. I’ll also provide you with my thoughts and some insight on each chapter. Unlike the other studies I’ve had, I won’t be offering an alternative study guide. You’ll still be getting the same information that I would provide in the guide, but you’ll have to come back to the blog each week for your next assignment. It’s my hope that in doing this I’ll encourage readers to stay connected while keeping the content fresh. For those who purchase the study guide, you won’t have to download the questions each week, but you will want to return here. I’ll have updates every Friday during the study where I share my answers to the questions. Also, I do hope that God gives me the courage to present weekly videos for you. This is something I’ve been praying about for a long time now and I do hope to have a stronger presence on Facebook live. Please pray about this for me? 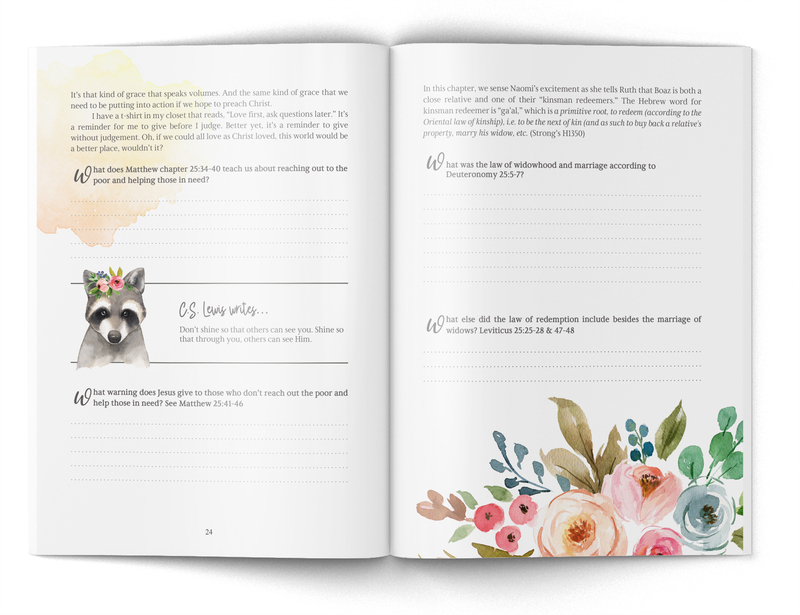 This delightful and inspiring journal takes you on an exploration through the book of Ruth. 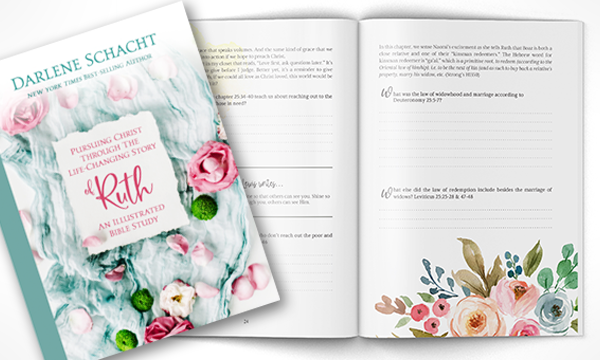 Insight, quotes, encouragement, and thought-provoking questions, motivate you to dig deeper into scripture and hold fast to your faith. 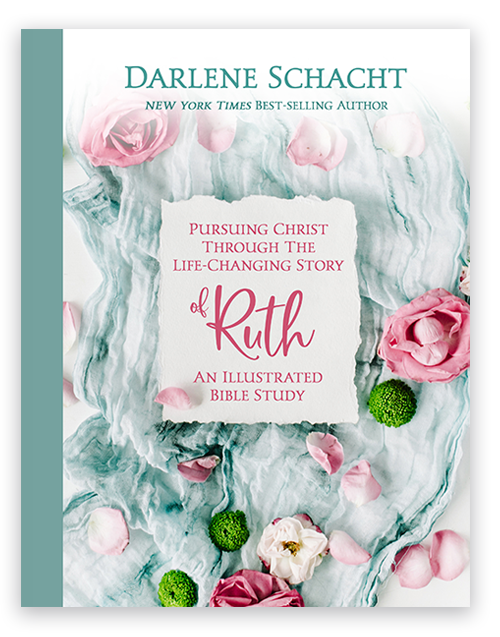 While the book of Ruth is a small one, consisting of only four chapters, it’s life changing. We see what it means to lay down our lives and to take up our cross. We see women of God and a man of faith who put aside their own interests for the sake of others. We see a virtuous woman willing to leave everything behind to follow God. Visit Amazon to order your copy today! 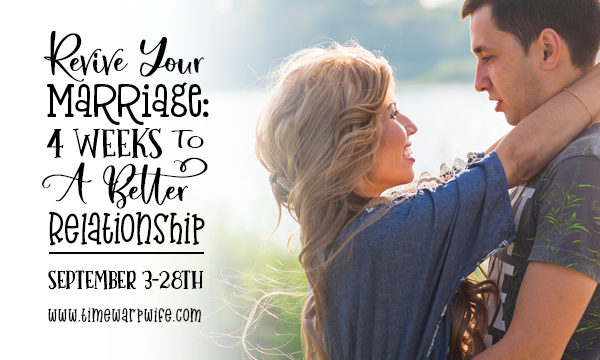 Throughout the month of September, we’re going to get inspired, get down on our knees in prayer, and get busy reviving our marriages. During the month, I’ll be posting twice weekly, with a specific topic each week. Hi Darlene! I’m so ready Ruth!! I found the book already on Amazon and should have mine tomorrow!! I’m looking forward to Sept too!! My marriage sure needs it with all the struggles we have on our plate right now. I thank God for Him bringing me to your website, and I am thankful to and for you for answering His calling!! I definitely need this right now. My marriage is strong most of the time but there’s always trying moments. Hello Darlene, I try to buy the book but Amazon is current not available. HELP!!!! I would love to get this book. Hi Darlene! I want to order the study on Ruth, but Amazon says it is currently unavailable and not sure if or when it will be available. The book is unavailable on Amazon?